The world is not possible without the presense of green colour. 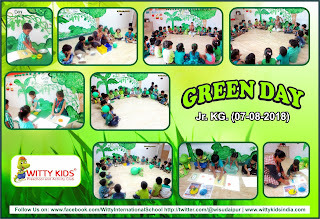 Green, the colour of trees, the colour of greenery, the colour of prosperity, was explored by the students of Jr.KG. 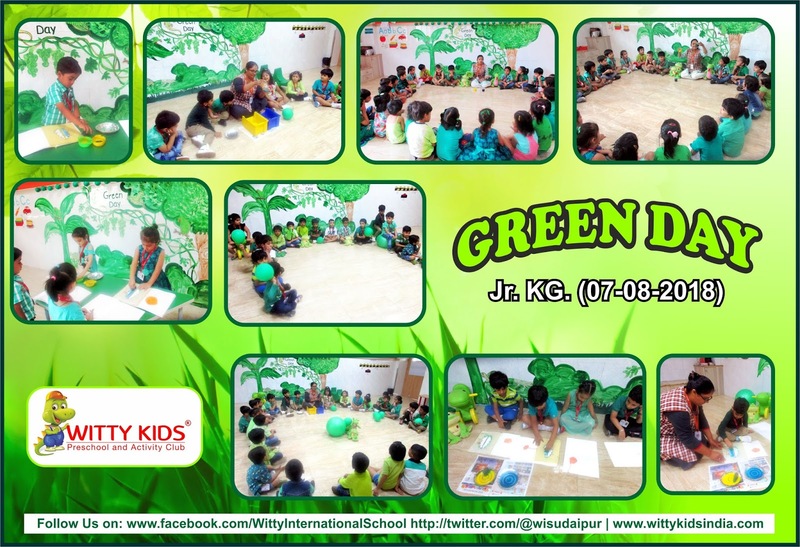 On 07/08/2018, Tuesday Little Wittians of Jr.KG at Witty International School Udaipur were told about the green colour. They were told about the presense of green colour in plants, traffic signals & in our tricolor flag. Teachers and students both came dressed in green coloured attire. Children made green colour through an experiment by mixing blue and yellow colour, Children enjoyed doing stencil painting and learnt about green colour.